Sandypants is celebrating it's 1st birthday this month! For the occasion Sandypants and Annabel Macrae Photography are teaming up on a great competition with super price to grab. 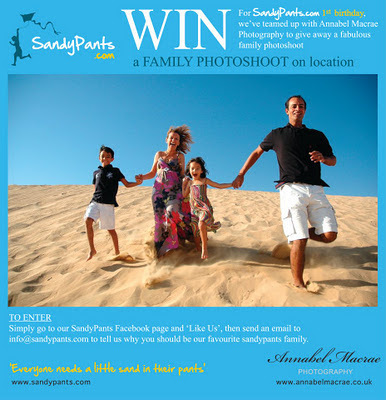 WIN yourself a fabulous family photoshoot with Annabel Macrae Photography down at the at the beach or in the desert. Good luck!